2018 is almost in the books. If you’re having trouble “wrapping your mind around” 2018 coming to an end, take some comfort. 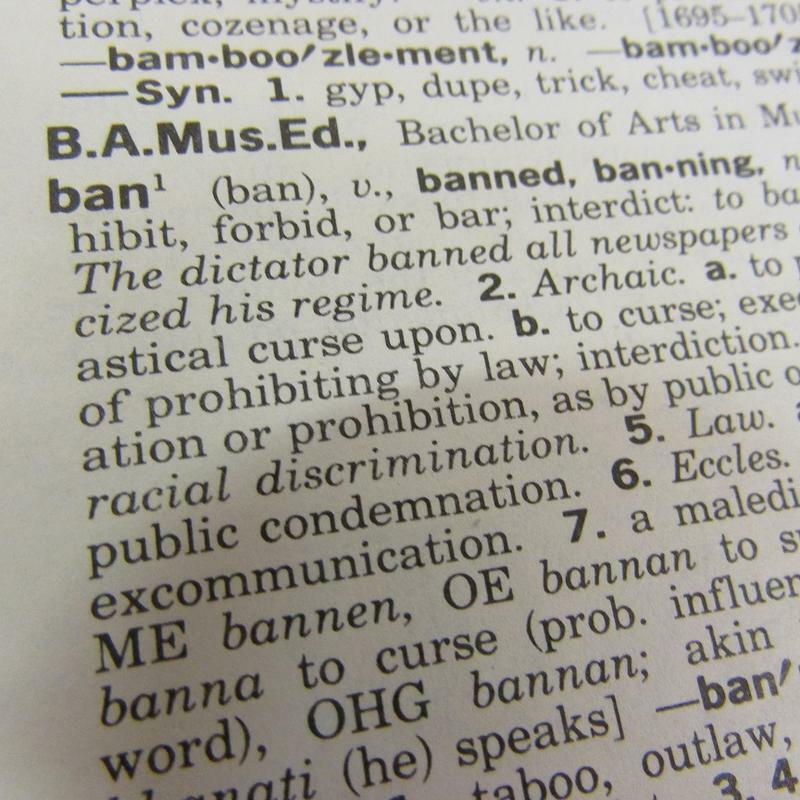 That phrase (as well as “in the books”) is on a list of words and phrases people want to ban. Every year, Lake Superior State University comes up with a tongue in cheek list of overused and tired expressions and words. This is the 44th year for the list. The nominations come from word-watchers from across the U.S. who target pet peeves from everyday speech, as well as from the news, fields of education, technology, advertising, politics and more. Probably not surprising. Topping this year’s banned word list is the word “collusion”, though that’s not likely to happen as we wait to see what happens with the special prosecutor’s investigation into the president’s 2016 campaign. Not all words on the list are actually words. For example, “OTUS,” which stands for a family of acronyms such as POTUS, FLOTUS and SCOTUS, which are shortened for President, First Lady and Supreme Court of the United States. After an election called by many called the “most important election of our time” just two years after an election many called the “most important election of our time” it should not come as a surprise many people nominated that phrase to be banned as well. Not all the words and phrases on the LSSU banned list are related to politics. “Platform”, “yeet”, “eschew”, “crusty”, “importantly”, and “accoutrements” made the list. It’s like “ghosting” part of the English language. And yes, ghosting, which means cutting off other people without notice, is also on the banned list. Some people might have a hard time “grappling” with the ban concept or “litigate” the decisions. Both "grapple" and "litigate" are also on the list. You may want to accuse the list compilers of trying to be “thought leaders,” but that’s not true. Because “thought leader” is another word or phrase on the list. Grapple – David, Traverse City, Mich., “People who struggle with ideas and issues now grapple with them. I prefer to grapple with a wrestler or an overgrown tree. " “Fake news” is real news today. President Donald Trump’s favorite way of describing news reports he doesn’t like tops this year’s list of banned words and phrases. Lake Superior State University has been producing its annual tongue-in-cheek list of overused words and phrases for more than 40 years. List editor John Shibley says “fake news” received more nominations from the general public than any other word or phrase on the list. “It’s telling you how to think. And I think a lot of people are rebelling against that notion,” says Shibley. Foodies, hackers and people with skills each have a place on a new list of banned words. There are more than 800 words on the list which is drawn from suggestions sent to LSSU.